White water rafting is a challenging recreational outdoor activity. Rafting is an activity that no adventure lover or water lover would miss. While a nature lover would prefer to languorously sail down a river soaking in the scenic beauty of the wild, an adventure holiday lover would prefer to go down a river rapid in a raft - setting the adrenaline racing! An inflatable raft is used to navigate a river or other bodies of water. Rafting on white water or on different degrees of rough water is thrilling and exciting. Rafting can be enjoyed on mild water, wild water or anything between the two. A rafter can be an active participant by being a part of the navigation or a relaxed rafter, enjoying while someone else does the steering. This activity started as a leisure sport and gained popularity during the 1970s. Higher and lower water levels can make the river more adventurous for rafting. In general spring fall or late summer is most favorable seasons for rafting adventure. June, July and August are the most popular times to raft. e. g. April to October is the best time for rafting in North America. Any person enjoying reasonable health and fitness can venture into rafting. Children above 8 are permitted to go rafting in a class III Rivers while children above 14 years are permitted to go rafting in class IV Rivers. Pregnant women, aged people, obese people or people with any medical ailment should stay away from rafting trips as they can turn out to be very dangerous. People scared of water (hydrophobia) should also stay away from rafting. Self-bailing rafts: The floor of a self-bailing raft is wide and looks like a flat inflated chamber. The edges of the floor are stitched to the rest of the raft. Once the raft is inflated, the top surface of the floor goes above the surface of the water. As the water splashes into the raft, the raft will get ready for action. Paddle rafts/ Self-bailing paddle raft: Paddle raft is a self-bailing raft and has inflated seats known as 'thwarts'. Rafters sit on the thwarts and row the boat down the river together as a group. Almost all commercial river guide services use paddle rafts. The captain or guide sits at the rear of the boat and guides the rafters while using his or her paddle to steer and adjust speed and direction. Oar raft: Oar rafts are maneuvered manually using 2 long oars. The guide maneuvers the raft. Motor rafts: Motor raft is propelled by a motor, no manual steering or paddling is involved. Catarafts: Catarafts are easy to maneuver, but they can carry very less weight. Inexperienced or first time rafters can use a cataraft as it would be simple for them to handle. They are just perfect for simple day trips. Catarafts can be used in high water and for multi-day trips too . Rivers are classified on a scale of 1 to 5 based on the difficulty to water condition. Commercial rafting companies conduct rafting trips on a grade III or IV River. Class II: Moderately difficult but passage is clear. Ideal for families with young children. Class III: Numerous waves that are high and irregular. You may experience eddies, rapids and rocks too. Passage is clear but narrow hence requires expert maneuvering. This water recommended for first time and inexperienced rafters. Class IV: The waves are powerful, irregular and in long rapids. Rafters might experience dangerous rocks and boiling eddies too. Accurate and powerful maneuvering is the key and these rivers should be explored only by experienced rafters. Class V: Highly difficult river conditions, long and violent rapids, rapids are continuous. The riverbed has various obstructions, violent currents and very steep gradient too. Rafters should be experienced and should be prepared for high risk activities. Class VI: Commercial rafting companies do not take tourists on such rivers as they are highly risky. Rafting is thrilling, exciting and fun. But rafting includes some level of risk too just like any other adventure sport. Injuries commonly incurred include sunburns and falling off the raft (if the rafter does not co-operate and follow rules and slips off). There are numerous raft trip operators. You can choose the operator based on what you wish to do, your budget, where you wish to go and how many days you wish to spend. Classic river trips: Rafting trips on such classic rivers is a combination of world-class white water, scenic sandy beaches and more. These rivers are among the top rivers of the world thus making the trip a classy adventure. 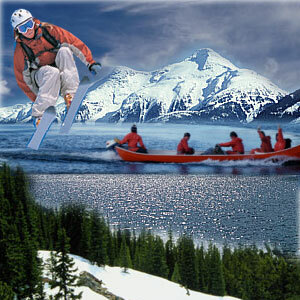 Multi activity trips: These trips include other activities of interest apart from rafting. These trips are tailor-made to suit the needs of the individual rafter. Expedition trips: Expedition by itself means venturing into areas where very few people visit. These rafting trips include rivers that are not often visited by all, rafters setting out on such trips get to meet tribes, watch wildlife, etc. The list includes Omo River, Tamur River, etc. Family adventures: These rafting trips are tailor-made to suit the convenience of families. 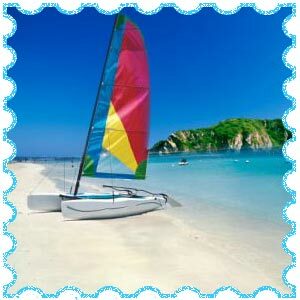 The trip caters to the needs of adults and children and tries to keep the trip interesting for all in the family. Other rafting destinations include Zambia, Peru, Switzerland, Morocco, New Zealand, etc. North Carolina: The most famous rivers in North Carolina are the French Broad River and the Nantahala River. The French Broad River is a spectacular free flowing river and will definitely delight all rafters. The water volume is seasonal, during spring big waves can be felt while in summer it is a scenic float trip. The river takes you across the Pisgah National Forest. The Nantahala River is the most popular river in the south. The entire ride is scenic and magnificent. Snuggled in the depth of the Nantahala National Forest near the southern edge of the Great Smoky National Park, the 'Nanny' as this river is fondly called offers a scenic and pleasant rafting experience. River rafting in Virginia: Famous rivers in Virginia for rafting include the New river and Gauley River. New River flows through North Carolina, Virginia and continues to West Virginia. This river promises a complete rafting experience varying from a gentle summer float trip to a heart-pounding and thrilling Class V adventure. Ranked among the top 10 rivers of the world, the Gauley River can be termed a remote canyon. It rises from the sandstone cliffs and flows through the steep slopes accompanied all through by excellent scenic beauty. Water is released during September and October from the Summersville dam to create adventure class rapids. River rafting in Tennessee: The best free flowing rivers in Tennessee are The Pigeon river and the Nolichucky river. The Pigeon River is located close to the Smoky Mountains, Gatlinburg and Pigeon Forge. Rafting on this river can expose the rafter to the Smokies. The Nolichucky River flows down the slopes of Mount Mitchell. It gushes into the ridge of the Unaka Mountains and cuts across through the Tennessee and North Carolina border. This is a free flowing river and is challenging and fun for rafters. River rafting in Colorado: Colorado is a wonderful place for rafting. High peaks, Rocky Mountains and the red sandstone canyons of the Colorado plateau make it a just best place for rafting. The famous rivers for rafting include the Arkansas River and the Dolores River. Rafting on the Arkansas River provides a rafting experience on the mountain peaks. River rafting in California: California has the largest number of navigable whitewater rivers in the world. The major rivers include American river, Merced River, Cherry Creek in the Upper Tuolumne River and the Tuolumne River. American river is located in the heart of the Gold country and is a class III to IV River. Merced River trips are organized based on the snow pack. Trips usually commence from April to mid July. The river has three sections and is classified based on the water volume. Cherry Creek Rafting in the Upper Tuolumne River is a highly challenging commercially-rafted river in California. Rafters with rafting experience can only navigate this river. Tuolumne River is federally protected. Only two commercial trips are permitted per day. River rafting in Pennsylvania: The two major rivers in Pennsylvania include the Youghiogheny River and the Cheat River. Summer is the best time to enjoy rafting on the Youghiogheny River. This river is a class III to IV River and has rapids accordingly. Cheat River rafting tour stretches thirteen miles from Albright to the Jenkinsburg Bridge in West Virginia. The river is classified as a Class IV whitewater rafting at medium water levels and Class V at higher flows. The water flow into this river is from the melting snow and is best enjoyed from April until June. River rafting in Oregon: Oregon river trips allows rafters to watch abundant wildlife and beautiful wilderness. Rogue River is the best river for rafting and is classified as Class III. The 34-mile wild and picturesque stretch begins at Grave Creek and ends at Foster Bar. The river offers few tough rapids and the area around the river has profuse wildlife to look out for. 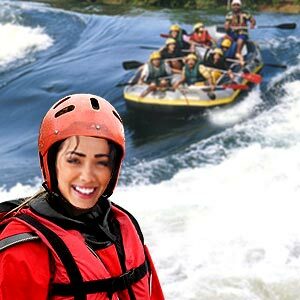 River rafting in Massachusetts: Massachusetts whitewater rafting offers the best for beginners as well as professional rafters. The water is classified between Class II and IV. Most of the rivers of New England originate in the canyons of the Berkshire Mountains. First Published Date: 12 Oct 2010 Last modified Date: April 22 2019 This page may have been updated recently as new information is available or the content may have been edited for better readability.